Paul Gale, the man who gave us the juicy rumour that Retro Studios is working on a Wii 2 project we all want, has received another interesting tidbit of info from a secret source of his. Nintendo’s new machine is powerful and though I hate to bash, it won’t be another Dreamcast. This will be the PS2 of its generation. Basically, what this means is that the Wii’s successor will end up being the weakest of its generation. But, before you declare a flame war over it, keep in mind that the console is reportedly still going to be “significantly” more powerful than the PlayStation 3 and Xbox 360 – neither of which produce graphics you can really complain about. The differences in the next-generation consoles’ capabilities will likely be minisucle compared to what we had this gen, and I think we’re looking at a GameCube-PlayStation 2-Xbox-type situation again, where all three consoles will see major multiplatform hits releasing on them. “intendo’s new machine is powerful and though I hate to bash, it won’t be another Dreamcast. This will be the PS2 of its generation.” Neither here nor there but would be awesome. We can only wait and see. To be honest, I’m not sure how much graphics could improve beyond the tessellation/displacement techniques I’ve been hearing about. It looks like Miyamoto’s statement about graphics hitting a saturation point will ring true in the next-generation, as Nintendo and its competitors will be focused on emphasizing content rather than adding processing power. Not being the dreamcast- but the PS2 of it’s generation sounds as a positive statement, since the dreamcast failed, and the PS2 came out on top. Being the PS2 of it’s generation sounds like the graphics won’t be that much worse than the PS4 or Xbox3’s. Technique will probably outclass power when it comes to graphics soon. When developers leave their cave for some air like they do every ten years, they might remember how light works and make realism make sense in game graphics. 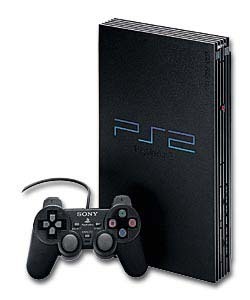 I absolutely loved the PlayStation 2, which I consider to be the second best gaming console of all-time. If the Project Cafe can reach that level of awesomeness, it will be remembered as a wonderful console that almost everyone enjoys.